Trek through the lush jungle of Luang Prabang and explore Khmu and Hmong ethnic villages off the beaten track. This genuine cultural immersion experience is one you'd remember for a lifetime. On the first day, we will start with a scenic 2 hour drive through the idyllic countryside. We will cross the Nam Xuang river by small boat and begin our trek from the riverbank. The trekking is 4-5 hours easy to intermediate through dense jungle and across numerous streams during the wet season. Upon reaching the Hmong and Khmu villages, our guides will introduce you to the villages, prepare dinner, and guide you through an unforgettable experience with your host village. 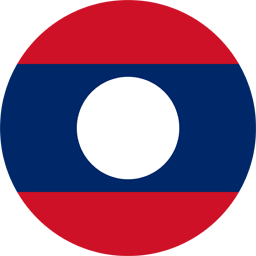 Unlike the Lao Loum people predominantly residing in the city who are Buddhist, the Hmong and Khmu ethnic groups are animist with widely differing beliefs that make Laos the ethnically rich country it is. Ask to join any activity you see. Use your time and guide well to explore these remarkable people’s lives. On our second morning we’ll wake to enjoy breakfast prepared by your guide, say your farewells, and set off again trekking for about 5 hours to the second of two rivers you’ll see on this tour. Feel free to jump in for a swim to cool off before you depart by truck to conclude this incredible immersion tour. We’ll arrive back in Luang Prabang by about 4:30 p.m.
Meet and introduction to group and guides, briefing on tour before departure, deposit your luggage in our care. A delicious breakfast is included on all home-stays, provided at the onset of the tour. We'll begin our drive of about 2 hours north of the city, half along a paved road and then along an unpaved road paralleling the beautiful Nam Xuang River. We’ll pass countless villages through rugged mountains on our drive as you leave everything resembling a city far behind you. We’ll cross the Nam Xuang river by small boat and begin our trekking through dense old-growth jungle. The first day of the tour is largely shaded as we make our way to our homestay villages. On this tour we alternatively visit and homestay at two villages, one Khmu and the other Hmong to reduce the impact on either one in particular. We will take a thorough tour of one and then homestay at the other so that you can explore both ethnic groups in these remote villages. Our guides will cook for you, help translate if you would like to talk with anyone in the village, and will inform you about any aspect of local life. The trekking is 4-5 hours (easy to intermediate) through dense jungle and across numerous streams during the wet season. On the second morning we’ll wake for breakfast, bid our new friends well, and begin trekking about 5 hours through more open terrain so that we can take in more countryside. Parts of this trail are down a medium grade. We’ll arrive at a the Nam Pa River where we can take a refreshing swim. Board our truck for a one-hour return trip to Luang Prabang. We will reach Luang Prabang by about 4.30 pm thus concluding this memorable remote tour. Please wear proper trekking attire and shoes. All times are approximate and tours may vary in specific details according to season, weather conditions, and/or for safety reasons as deemed necessary by White Elephant Adventures staff.